Mary Roberts Rinehart (1876-1958) was one of the most popular early mystery American authors. She trained as a nurse but married a doctor four days after graduation. 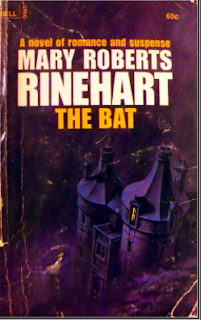 In her spare time, while raising her three sons, she wrote for the early pulp magazines. 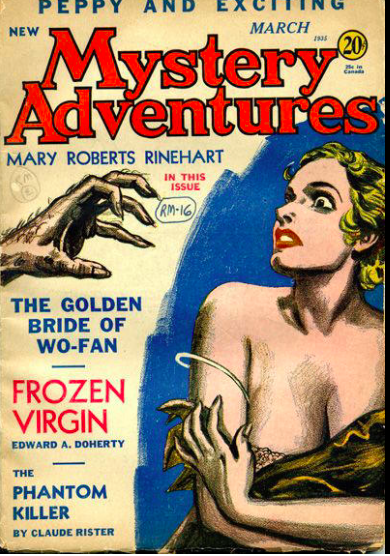 One of her stories was cover-featured in the debut issue of New Mystery Adventures in 1935. When the depression hit, she turned to writing novels to earn more money. 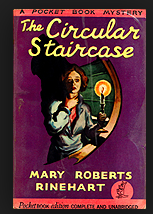 Her first two novels, The Circular Staircase (1908) and The Man in Lower Ten (1909), established her as a bright young talent, and it wasn’t long before she was one of the nation’s most popular mystery novelists. The phrase "The butler did it," that has become a cliché, came from her novel, The Door. She is also credited with inventing the, “Had-I-but-Known" school of mystery writing. “the Bat”, a costumed super-criminal and cited by Bob Kane as one of the inspirations for his character, “Batman”. 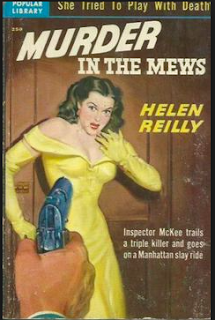 Helen Reilly was a prolific author of mystery novels, whose career stretched from 1930 to 1962. All except her very earliest books feature New York City police Inspector Christopher McKee and were among the first American novels to stress police procedure. Reilly had some contact with pulp magazines. Her second McKee novel,Murder in the Mews (1931), was serialized in Street and Smith's Detective Story Magazine, and she published a handful of short stories in other pulps. 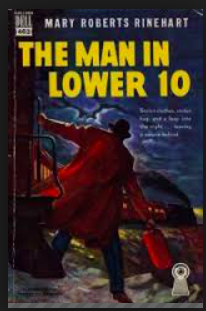 However, the novel serialization could easily have been arranged by an agent or a publisher, and Reilly's degree of contact with the world of pulp writing seems restricted. Great info - I don't think I've ever heard of either. Will check them out! I always wondered who was the one to make the butler the culprit. Thanks for that. Cheers for Mary and Helen!! Wow-batman and the butler-very cool!